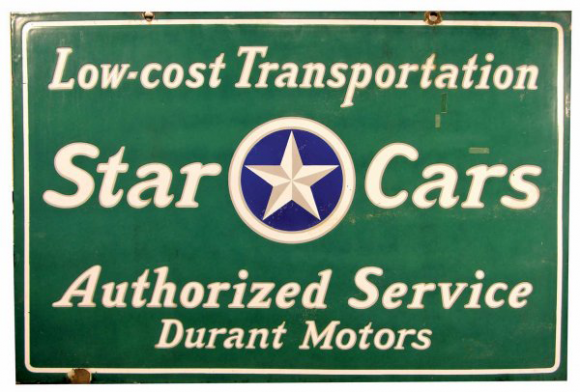 Authorized Service for Durant Motors sign for Low-Cost Transportation Star Cars. This forest green sign has a white star in the center with a blue background. Surrounding the star is text.